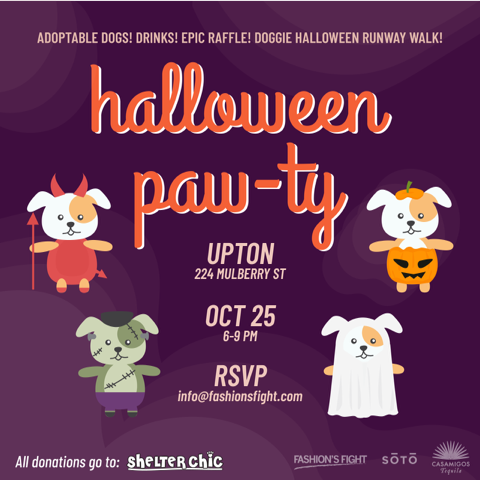 Please join us for a night of cocktails & bites, adoptable dogs (all dressed up for halloween), and incredible raffle prizes! 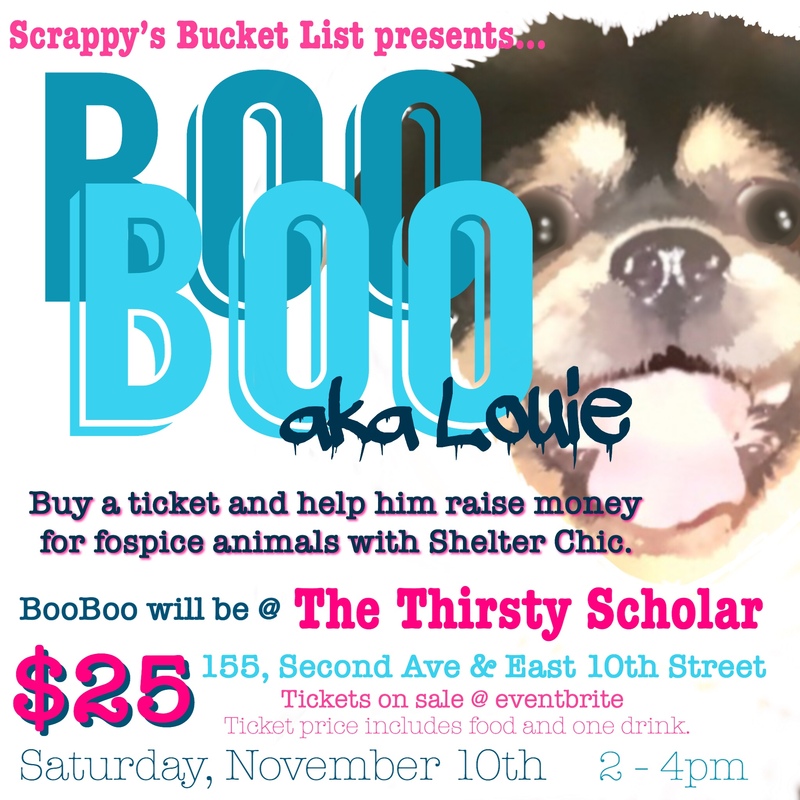 Every dollar raised is going towards local animal rescue, Shelter Chic. Providing them with more funding means saving more dogs that are desperately in need of homes and medical care. Hosted by TV Personality Ellie Lee (@ellielee.tv), Laura Hopkins & Shannon Rusbudlt. Come play with some pups, get your buzz on, and win some high-end prizes for a good cause. If you are unable to make this event but would still like to donate – Head to shelterchic.org/donate and leave the note “Halloween” alongside your donation! 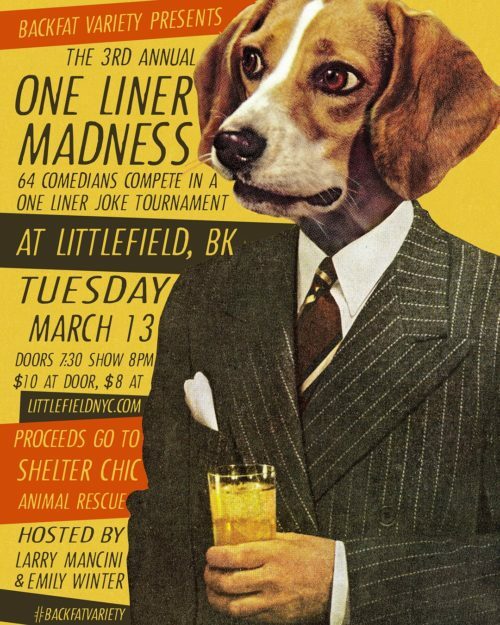 The Time Out Critics’ Pick comedy outfit BackFat Variety hosts its 3rd Annual ONE LINER MADNESS tournament on Tuesday, March 13 at Littlefield in Brooklyn. This fast-paced, raucous contest goes from 64 comedians to a champion in just 90 minutes. It’s a single-elimination, comedy version of March Madness, and participants advance based on audience applause. The show has raised more than $2,400 for charity, and this year all proceeds benefit SHELTER CHIC Animal Rescue (shelterchic.org), an organization that’s saved the lives of thousands of animals in NYC. Buy a ticket NOW to save a pup… and secure a seat before the show sells out. BackFat’s ONE LINER MADNESS is hosted by Larry Mancini (of the band The Tracys) and Emily Winter (Glamour, NBC Late Night Writers’ Workshop Script Judge). Comedy referees are previous winners Missy Baker and Camille Theobald. Special guests from Shelter Chic Animal Rescue will be on hand. Finally, the show stars YOU, the audience, who will determine 2018’s Funniest Comedian in Brooklyn. Doors open at 7:30 PM and the show starts just after 8. Tickets are $8 in advance and $10 at the door. 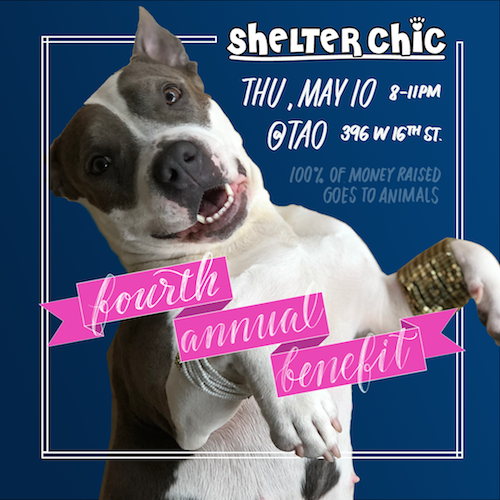 Please join us on Thursday, May 10th, from 8-11pm at Tao Lounge Downtown (369 W 16th St) for Shelter Chic’s Fourth Annual Benefit. Festivities will include a silent auction, music from DJ Lora, unlimited beer, wine, & cocktails, delicious hors d’oeuvres, and much, much more! Guests will also learn critical information about Shelter Chic’s mission, pet adoption, and all about the joys of fostering dogs and cats in need! 100% of money raised goes to the charity. Buy your tickets now! 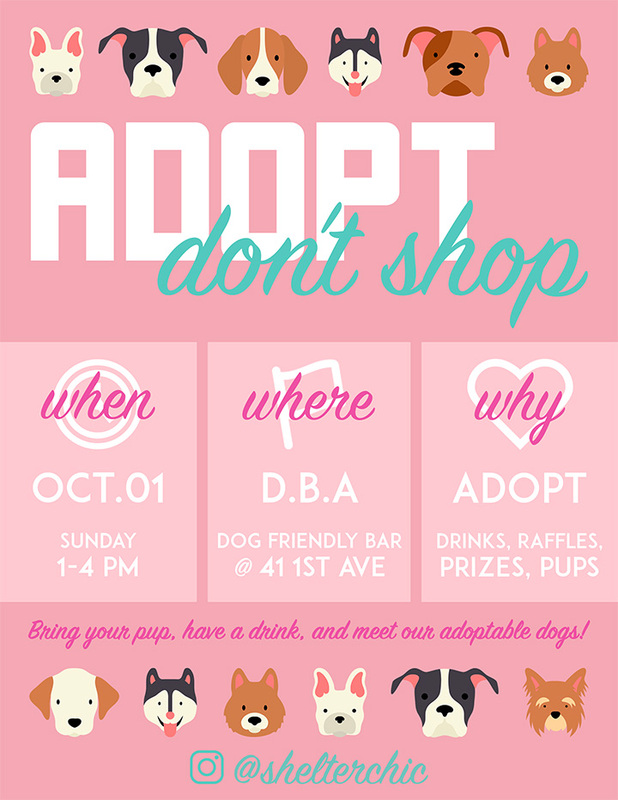 Adoption Event at DBA’s Dog-Friendly Bar! Join us for some drinks, a raffle with some fantastic prizes, and a chance to meet some of our adoptable pups looking for their forever homes! DBA is located at 41 1st Avenue, New York, NY 10003. Dogs welcome!